Are you a nature explorer? Do you love to travel around the stunning landscapes to satiate your thirst of going the whole world? Is Switzerland your one of the dream locations to visit? Well, then how about nestling in the world’s largest Himalayan ranges, which is blessed with the picturesque scenic landscape? Khajjiar, one of the prevalent hill stations, which is about 26 km from the beautiful Dalhousie in Himachal, known as the “Mini Switzerland of India” for the travel buffs. Along with the beautiful and snowy peaks, opulent green hills, deep valleys, dense forests and beautiful hill stations, Khajjiar is considered as the tourists’ paradise. 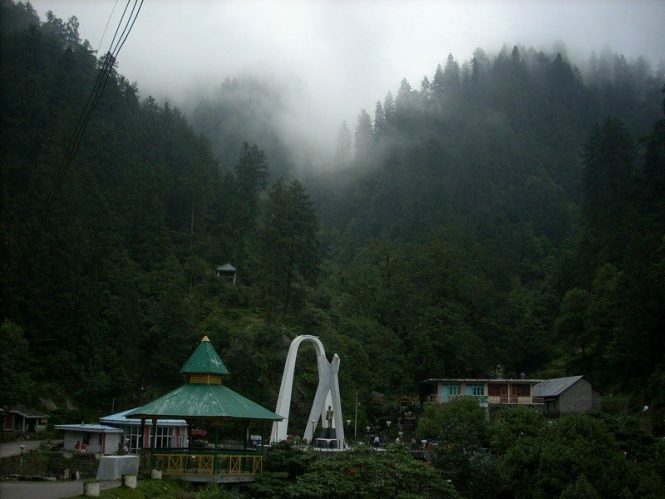 It is one of the beautiful lush meadows, which is situated in the stunning Chamba valley. This is one of the essential spots, which is also famous for the beautiful and noiseless environment amongst the travellers. This is situated in the northwestern part of the Himachal, which is in the northern region of India. One of the most important things about the place is that this contains almost three ecosystems such as forest, lake and the pasture. The site is located at a certain height of approx. 6500 feet. The environment of Khajjiar is the alpine summers almost in between April-June. If you are thinking to go to the place in summer, it will not be an excellent decision for you. And the entire climate of the area is quite mild in winter which is in between November to February. The environment is utterly cold and bitter as well. The nights in the winter of the place are quite chilled, and you will not be able to roam around at that time. Apart from summer and winter, you can also experience the place in monsoon too, which is in between July to September. You can experience the beauty of mini Switzerland of India at that time. The most excellent time to visit Khajjiar is between March and June. If you want to visit the mini Switzerland of India, you will get well-acquainted with their culture, people, and festival. Once you are there in the place at the right time, you would get to see lots of beautiful fairs such as Baisakhi Fair, Dal Fair, Sayar Fair and more. The people of Khajjiar are incredibly cultural, and they are involved with the festival as well. Some of the famous festivals of the place are Baisakhi, spring festival, chet and more. In Khajjiar, you will also get plenty of shopping destinations too, and the Department of Tourism helps you to get the best deal on the travel packages. When you are in Khajjiar, you will get ample amount of places to visit in Khajjiar. This is one of the most beautiful and striking sanctuaries of the place to visit. Basically, the place is located between Khajjiar Lake and Dalhousie. The wildlife sanctuary in the mini Switzerland of India is prevalent for the hikes and nature walks. You will get to see an ample amount of beautiful faunas and floras. It contains several tresses such as Rhododendron, Green oak, blue pine and more. You will be able to spot the various animals like bear, langur, leopard, jackal, and more. The vibrant green forest is all the way to offer you the extraordinary beauty of the place. If you are opting for the beautiful places to visit in Khajjiar, you will get the magnificent view of Khajjiar Lake. This is one of the excellent places, which comes along with the beautiful and striking views for the travellers. The place is covered by the lavish and opulent green forests. Surrounded by an ample amount of trees, Khajjiar Lake stands as one of the beautiful locations in the northern region. The place is absolutely ideal for refreshing your body and mind too. The place is often visited by the local people as well as tourists too. Apart from the beauty, there are ample amount of things to do in Khajjiar. Eventually, one can also get the beautiful view of Mount Kailash on a sunny day right from the lake. If you are planning to visit Khajjiar, you cannot miss Kailash Villages, the fascinating and famous tourist place. You can easily explore the beauty of scenic villages over there. The gleam of the orange sunrays on the picturesque snow-capped mountain looks mesmerizing in the dawn. Amongst the beautiful and lush hills and thick forests, the beautiful village melts your heart with its exquisiteness. You will be able to capture some of the pretty views in Ladi, Rota and in more villages. These beautiful villages are actually famous for its apple orchards. There are several things to do in Khajjiar such as cycling, mountain biking and more. Eventually, the Himachal foods, as well as the experience of the beauty of the mountains, are quite striking. There is plenty of places to visit in Khajjiar that are incredibly stunning and beautiful. 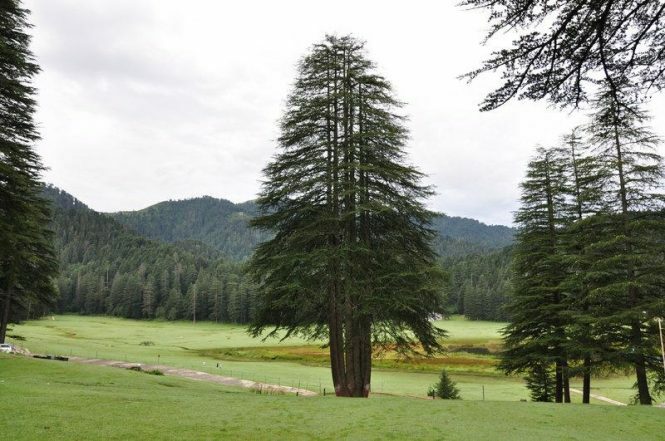 Within a thick forest surrounding the lake, this unique and extraordinary Panch Pandav Tree is considered as one of the fantastic places of Khajjiar. It contains almost six shoots, and the local people out there believe that the tree represents Draupadi and 5 Pandavas. The tree is situated near a beautiful rest house, and that actually leads to the village. Once you enter the village area, you will get to see the tree with 15 shots, and all are almost the same height. One of the exciting things about the place is that it is entirely clean, neat and lush green, which attracts the tourists a lot. 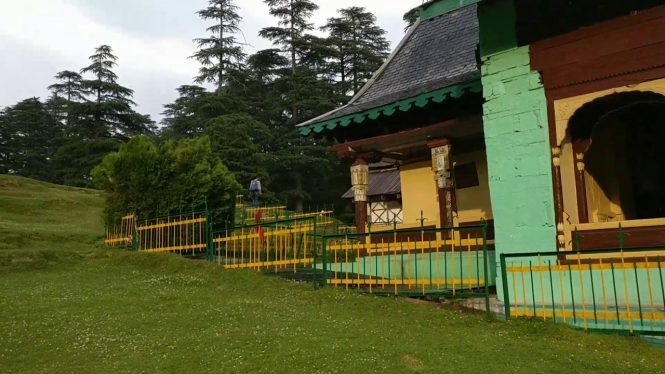 As there is ample of places to visit in Khajjiar, you will surely get the option of visiting the places, but amongst all, Khajji Nag Temple is considered as one of the oldest and famous religious places of Himachal. The Khajjiar sightseeing comes along with a lot of beautiful places but when you are actually thinking of visiting Khajjiar, do not miss the place. 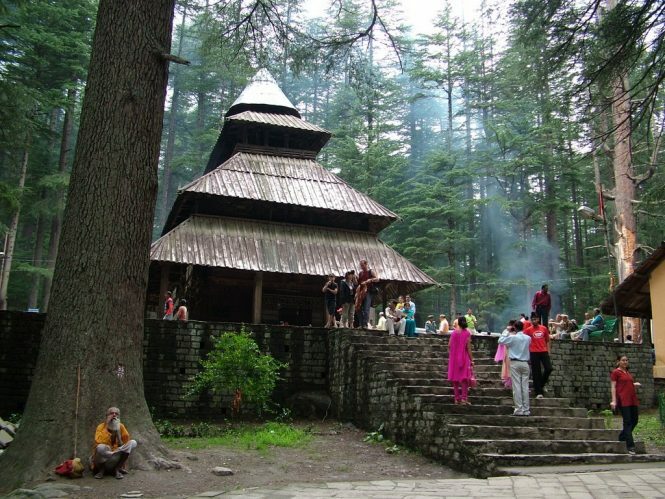 Local people believe that it stands as one of the oldest temples of Himachal Pradesh. It was constructed in the 12th Century. The entire place is decorated with wooden architectures. The wood carvings reflect the Hindu and Mughal’s architecture and their whole life. You will get familiar with the patterns and style of Hindu and Mughals’ architecture too. The temple vaunts of the idols of Hidimba, Shiva and also pictures of Kaurava and Pandava. Once you are planning to visit the Khajjiar, you will have to make sure that you choose this place to visit. You can also deal with the Khajjiar travel guide to get the best deal on the packages. Eventually, you will also get the affordable packages too. The place is absolutely amazing and considered as one of the scenic and beautiful places to visit over there. 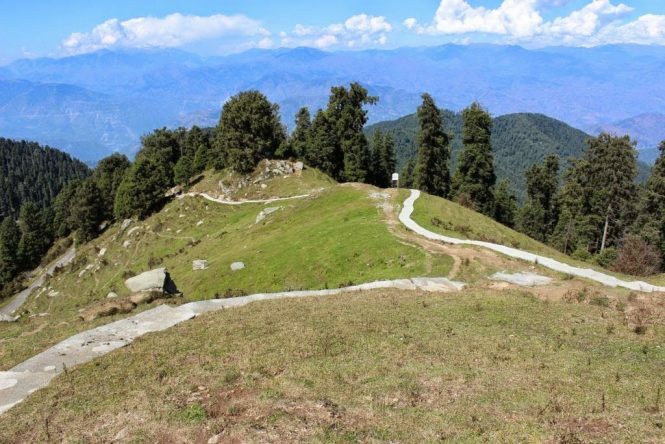 One of the interesting facts about the place is that, apart from all the Khajjiar sightseeing, this is the highest peak in Dalhousie. Though the mountain is covered with the snows, this is clearly visible in the sunny days too. Basically, in winter it just turns into a paradise, and each and every travel buff would love to enjoy the scenic view. 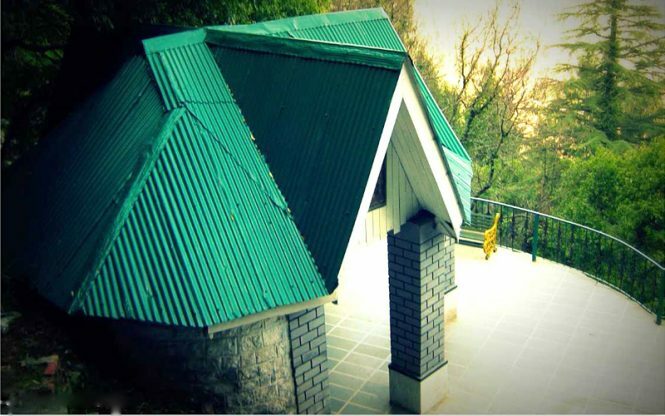 As there are an ample amount of places to visit in Dalhousie, you can easily choose this one. Well, do you love to visit the beautiful white waterfall? If yes, don’t miss this place. Dealing with the Dalhousie packages at an affordable rate, you will be able to visit the place and enjoy entire exquisiteness of the place. It is also one of the stunning places of Khajjiar. Each and every travel lover love to visit this place at least once in their lifetime. The place is covered with the thick deodar and pine trees. The place is absolutely gorgeous, and the beauty just captures the heart of the travellers. You will be able to find numerous attractive waterfalls and streams inside the pine forests too. Once you get into the place, you will surely feel the extraordinary views of it. There are plenty of places to visit in Dalhousie, and amongst all, this is one of the stunning places, which should not be missed. The place is not far away from the main city, and once you are there, you will not be able to miss the entire place. The beauty will attract you, and it will make you visit it again and again too. It is a stung spot for the travelers. It is surrounded by the thick and dense pine trees, and it stands as one of the oldest places as well. The most interesting thing about the place is that this has been named after the prevalent freedom fighter, Subhash Chandra Bose. 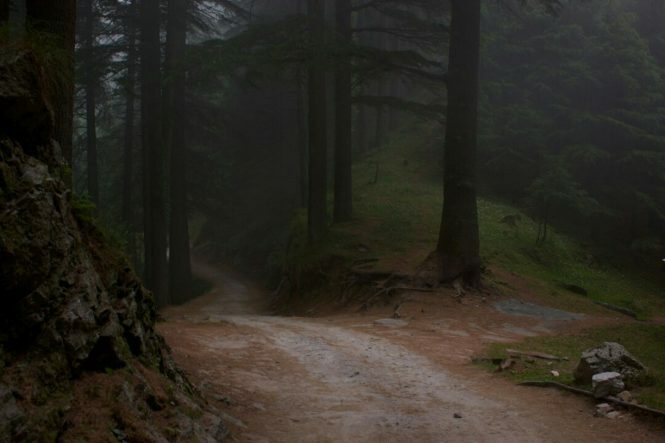 Though there are ample amount of tourist places in Dalhousie, this can be one of the most beautiful places, which should be experienced in your life at least once. When you talk about the tourist places in Dalhousie, you should make sure that you choose the right one in a short span of holiday time. This is one of the extraordinary places that make the trip absolutely beautiful. 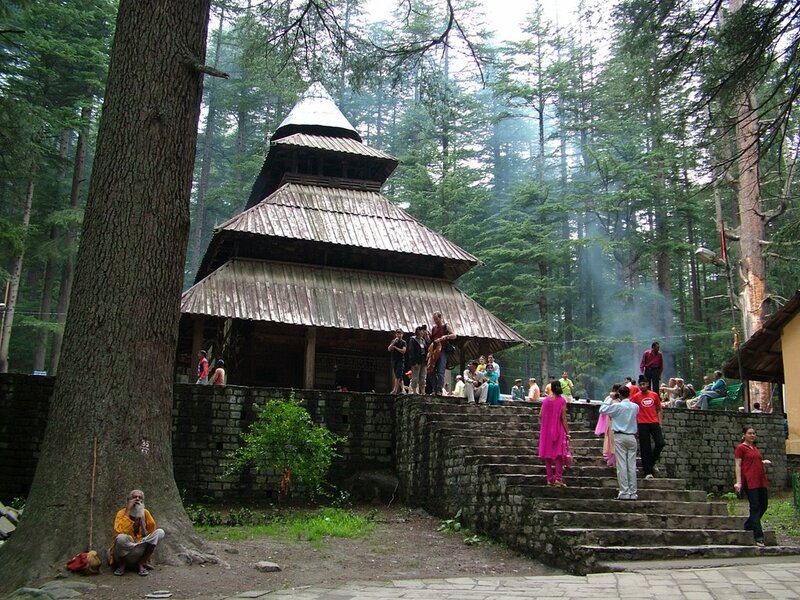 The Golden Devi Temple in Khajjiar has been named due to the golden dome of this temple. The places are situated beside the lake. 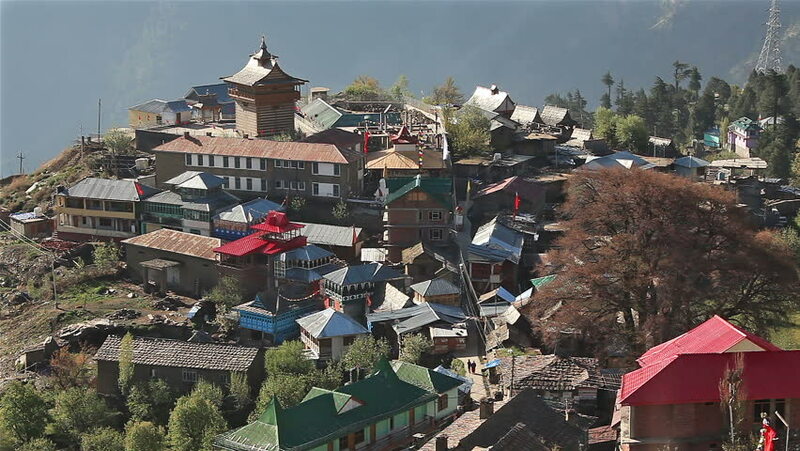 It has become one of the major attractions of Himachal. One can easily be the observer of the majestic and wonderful views of this snow-covered Himalayas as well as other mountains ranges. The golden spire of the temple is the main attraction of the beautiful place. If you are in Dalhousie, you cannot return from there by not buying anything and for that reason, visiting this place would be a great help. The Dalhousie packages offer you to visit lots of markets, where you will get ample amount of Tibetan Handicrafts such as hats, showpieces, and pieces of jewellery, clothes, sculptures, paintings, arts and crafts and more. The Khajjiar tourism will lead you towards this beautiful place to buy some gifts and souvenirs for your family and friends too. 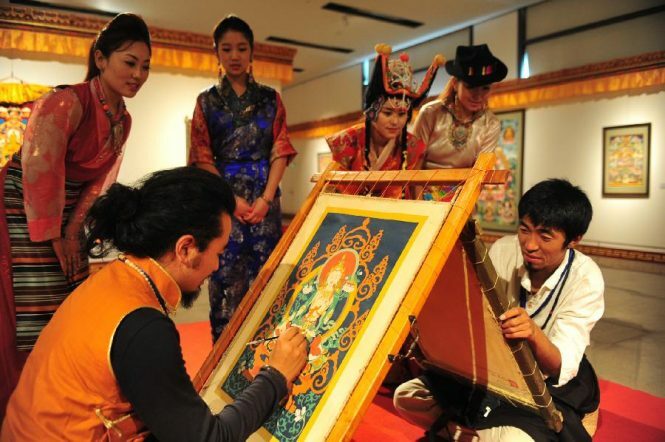 Apart from this particular place, you can also buy lots of Tibetan handicrafts from the streets and open nearest markets. They offer you these handicrafts at an affordable price, and the souvenirs are absolutely durable and long lasting. To put-off your work concerns and revel in heavenly natural bounty you must make the plan for a trip to Khajjiar. Dealing with the great packages, you will get ample amount of hotels over there that offer you some outstanding facilities and amenities. The restaurants in Khajjiar and Tibetans food over there will surely melt your heart. So, whenever you make the plan to go there, do not forget to research the hotels and restaurants of the place.